The Selby Bay Yacht Club vessel owners donated their time and vessels this summer to take children and their families on a cruise in the Baltimore Inner Harbor Area. This event, Cruise for Kids, is an opportunity for club members to reach out to the community and provide a boating opportunity to children with disabilities. After the cruise, boat owners returned the families to port for an All-Hands Shore Party, according to club representatives. 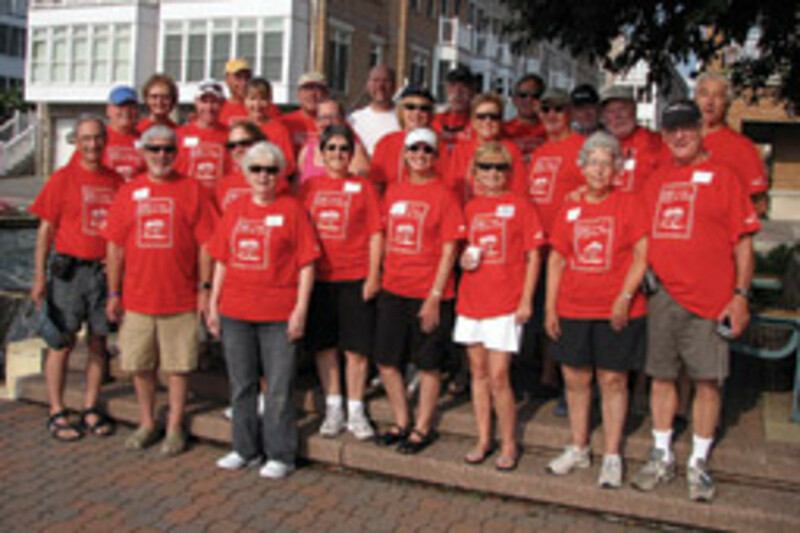 Selby Bay Yacht Club owners provided four powerboats and seven sailboats of the total 49 participating vessels. The 62-year-old yacht club is a member-owned, family-oriented club just inside the mouth of the South River in Selby Bay, near Annapolis, Md. Because of a lack of funds, plans for the Coast Guard Museum, spearheaded by the Coast Guard Foundation in Stonington, Conn., have been put aside. Roeder says the project, which was first estimated at $65 million, soon reached $100 million. The building was estimated to be between 50,000 and 60,000 square feet in Trumbull, Conn., and to accommodate 200,000 to 300,000 visitors each year. As a result, Jerry Ostermiller, who was named president of the project Jan. 15 of this year, chose to step down from his post and will return to his home and family in Oregon. The Coast Guard Foundation is a non-profit organization committed to the education and welfare of all of its members and their families. An auxiliarist, Ostermiller has almost 30 years of experience establishing museum programming, renovation and capital campaign fundaising efforts. 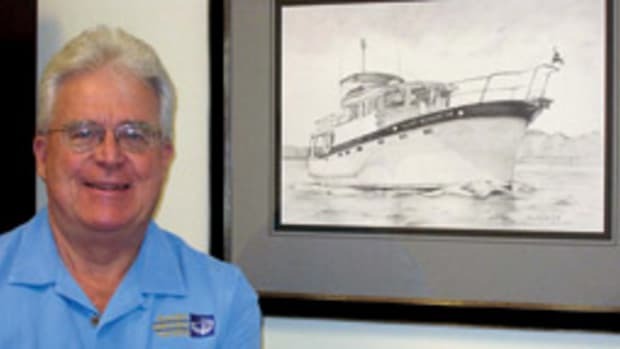 He retired last June as executive director of the Columbia River Museum in Astoria, Ore., after coming on board in 1989. “Working hand-in-hand with the Coast Guard Foundation staff to serve our guardians, the men and women of the U.S. Coast Guard, was a noble experience, and experience I will never forget,” says Ostermiller. Ostermiller says though the “economic perfect storm” hampered their funding so badly, he believes the museum is destined to be a reality. “I have no doubt we will see the funding and building of a remarkably outstanding museum, honoring the values, missions and heart of our nation’s foremost humanitarian service at a more favorable time,” says Ostermiller. Ostermiller continues to be involved with the Coast Guard in his hometown. Roeder says he hopes it will be less than a year before they can return to making this dream a reality. Final Fling and Lady Purr-Fect, two Gemini 34-footers, have been added to the fleet at Southwest Florida Yachts. The catamarans join Southwest Florida Yachts’ fleet of charter vessels, six of which are sailboats, at the Burnt Store Marina in Punta Gorda, Fla.
Each new boat offers a master cabin, two double cabins and a convertible dinette, along with fully equipped galleys and outboard dinghies. Chartering the Lady Purr-Fect for three days in winter’s high season runs $1,648, while Final Fling costs about $1,813. 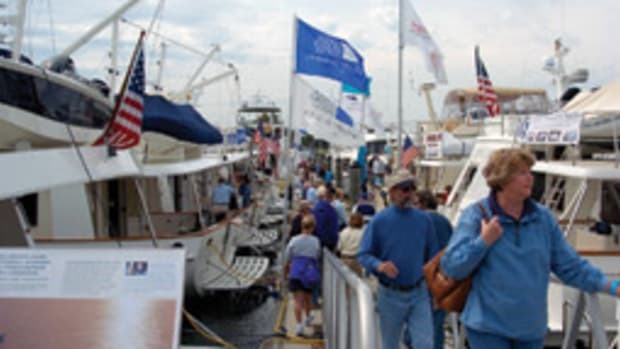 Southwest Florida Yachts, headquartered at Marinatown Marina in North Fort Meyers, Fla., charters sailing and power cruises throughout the year. Their other sailboats range from 24 to 35 feet; their power-cruising fleet ranges from 28 to 43 feet. 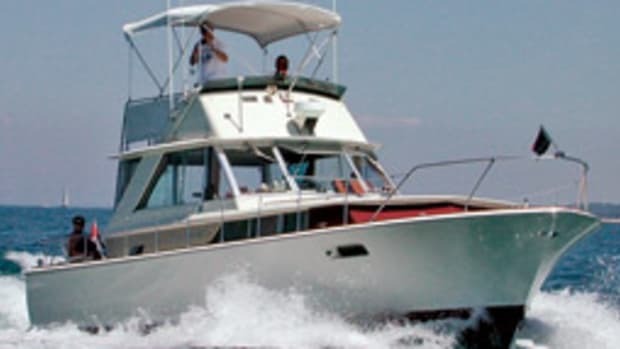 For information, call (800) 262-7939 or visit www.swfyachts.com. In an effort to reach out to local youth programs, the National Youth Marine Alliance and United States Power Squadron are offering “WaterSmart From The Start” program materials free of charge. “WaterSmart From The Start” is an educational program about water and boating, according to the National Youth Marine Alliance. 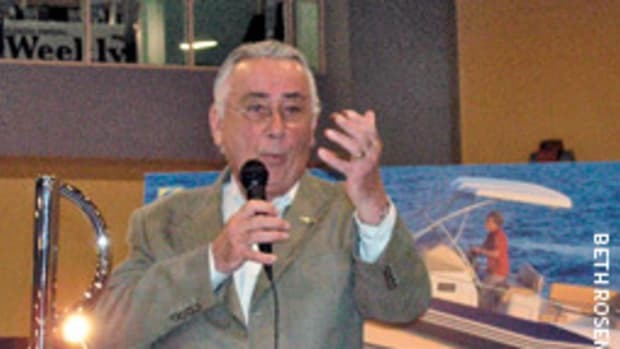 The material in the program covers topics such as navigation, safety and rescue, fishing, environmental education, personal watercraft and different types of boats. The material includes an instructor’s guide, a student book and a pre- and post-test, according to the NYMA. For free program materials, visit www.shopusps.org/books.html or call (888) 367-8777, ext. 210. Commerce secretary Gary Locke announced that $40 million will be allotted for hydrographic survey and chart projects across the United States. This funding is meant to strengthen the economy, create jobs, and support safe and efficient marine commerce and trade. This project is funded by the American Recovery and Reinvestment Act of 2009, and the Commerce Department’s NOAA will allocate $32 million for hydrographic surveying contractors to collect data in critical coastal areas. The information will be used to map the sea floor and update nautical charts. An additional $8.24 million in Recovery Act funds have been allocated for data collection activities that support the development of nautical charts and coastal planning, according to NOAA. Recovery Act funding will be used to conduct 39 surveys, charting nearly 2,000 square nautical miles in Chesapeake Bay and the coastal waters of Alaska, Washington, California, Louisiana, Alabama, Florida and Virginia. Surveyors use the latest technology to map out the sea floor, measure water depth, search the ocean for storm debris or accident wreckage and record the natural features of the coastal seabeds and aquatic life. Information gathered will help support planning efforts along coastlines providing important data to help balance the conservation of ecosystems and competing demands for ocean space for navigation, alternative energy or other commercial purposes, according to NOAA. 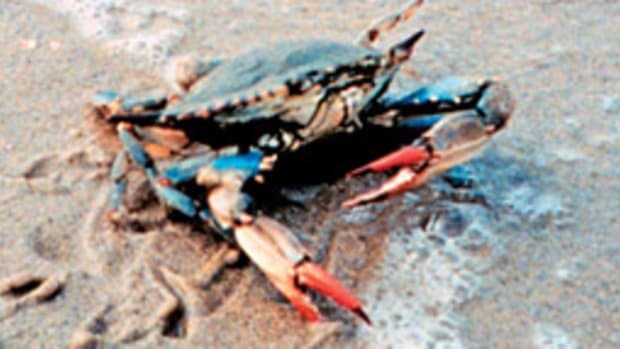 NOAA’s Office of Coast Survey is managing the projects. For information on the funded projects nationwide, visit www.noaa.gov/recovery. Five new education grants were recently awarded to youth-focused boating, fishing and conservation groups nationwide. 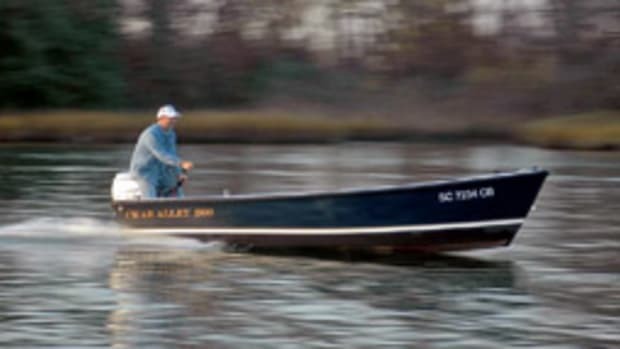 The Recreational Boating & Fishing Foundation announced that five out of 70 applicants were awarded grants through the foundation. The grant recipients include: FishHer, which educates and empowers girls actively involved in Girl Scouts who are new to fishing, boating and aquatic education; International Game Fish Association, which provides students and teachers with a range of activities that include fishing clinics, live touch tank demonstrations and safe boating practices; Let’s Go Fishing, a group that engages youth in the sport and the outdoors, and plans to expand its Take Me Fishing Initiative program that works on fishing and boating programs focused on conservation; and Trout Unlimited, which works to conserve, protect and restore North America’s coldwater fisheries and their watersheds. Introducing boating and fishing into minority and underserved communities is a key requirement of RBFF’s National Youth Fishing & Boating Initiative, which awards the grants annually. More than 250,000 children have participated in RBFF’s aquatic education programs since 2007. Newcoast Financial Services recently announced the launch of a new Web site at www.newcoast.com designed to educate boating and yachting customers on how Newcoast Financial can provide specialized financing programs to meet individual needs. Newcoast Financial Services specializes in the marine industry. Visitors to the site will be able to learn about available services, find a local contact, ask questions and submit a loan application. Services include new boat, yacht and sailboat loans; used boat and yacht financing; and refinancing of existing marine loans, according to the company. Travelers recently announced a new discount on boat and yacht insurance premiums for boaters that use Autotether wireless emergency-stop lanyards. The Autotether wireless emergency-stop lanyard is designed to reduce the chances of a runaway boat by turning off the motor should the operator go overboard. Wearing an emergency-stop lanyard is required by law in only six states, according to Travelers’ representatives. Travelers says it is currently reviewing safety devices made by other manufacturers in the hopes of offering a similar discount in the future. For information, visit www.travelers.com.